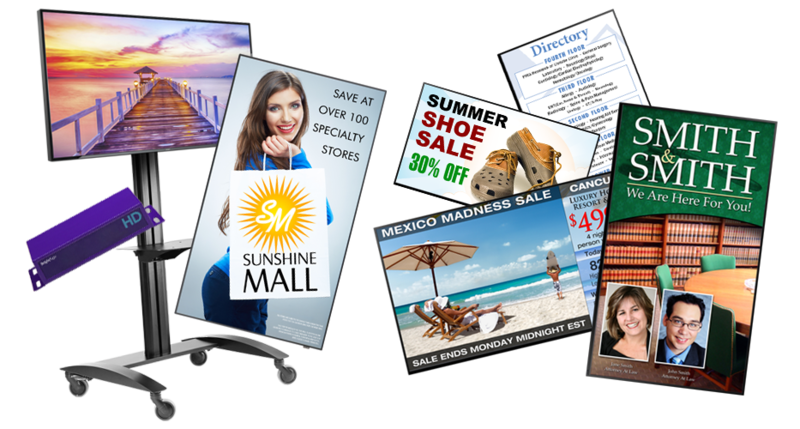 Our industry experts will design your digital signage solution for no cost or obligation. You will receive multiple solutions to choose from. We are authorized dealers for all our manufacturers. Each Solution includes everything needed for installing; mounts, cables and hardware, for one, affordable price. Zinger will deliver the solution to your door, in about a week. Zinger can provide assistance with content creation, management & delivery. And Zinger can handle the installation anywhere in the U.S.
Zinger is the only call you need to make for a total digital signage solution.